Don’t feel disheartened if you didn’t see any tiger roaring in and around the jungle for its prey. Other then the tigers, there are many varieties of wildlife, birdlife, sal forest, river habitats, and a beautiful location which can be seen here. There’s a lot to explore and indulge in and around Corbett. Here is the list of some astonishing places which you might have never heard of but are surely worth exploring on a short trip to Corbett. 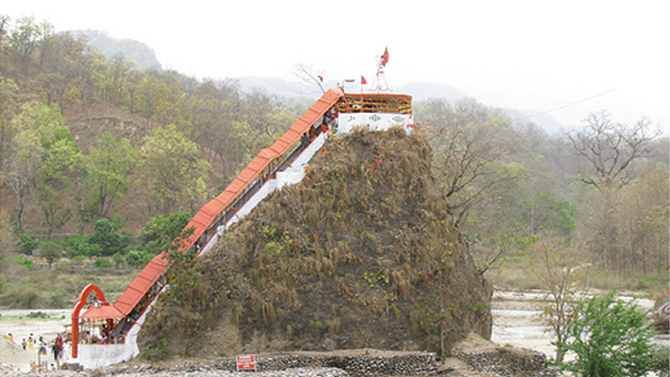 Garjiya Devi Temple is a holy shrine which is rested on the top of the huge rock midst the Kosi River. The temple is situated in the Garjiya village nearby the Ramnagar city. It is a sacred Shakti shrine where Garjiya Devi, daughter of Himalaya is the presiding deity. Within the periphery of the temple, there are shrines dedicated to Goddess Saraswati, Lord Shiva, Baba Bhairon, and Lord Ganesha. It is believed that the rock on which the temple is located came down during a flood in river Kosi. On your way to Garijiya Devi from Ramnagar, you may spot animals like sloth bears, langur monkeys, rhesus macaques, peacocks and several types of deer including chital (spotted deer), sambars, hog deer and barking deers. Spiritually enlightening and simply picturesque, people come here to take a holy dip in the river Kosi as it is considered as auspicious. Tourist will have to cross the bridge to reach the island and then climb 70 stairs to get in touch with the main temple. The long stretch of steps will lead you down to the Kosi River. Main sculpture of a deity is so charming that it shall make you come here again. The temple attracts large number of tourist’s best during the festival of Karthik Poornima. Don’t forget to tie a thread here, as it is considered as auspicious. It is a popular trend. What you wish for will come true here! – Avoid visiting this temple during Monsoon as the area prone to flood. – Since the temple is located in the middle of the Jim Corbett National Park, it is not allowed to go here after the sun sets due to safety concerns. If you want to pounce on some finger licking litchis then Ramanagr is the place to be. Nestled in the foothills of Corbett and Nainital, Ramnagar is a small town of Uttarakhand. Ramnagar is the main gateway to the Jim Corbett National Park. In the ancient time, Ramnagar was known as Ahichhatra, the capital of Northern Panchal during Mahabharata times. Ramnagar is the ideal spot for fishing camp and the place even offers as an administrative center of Corbett National Park. 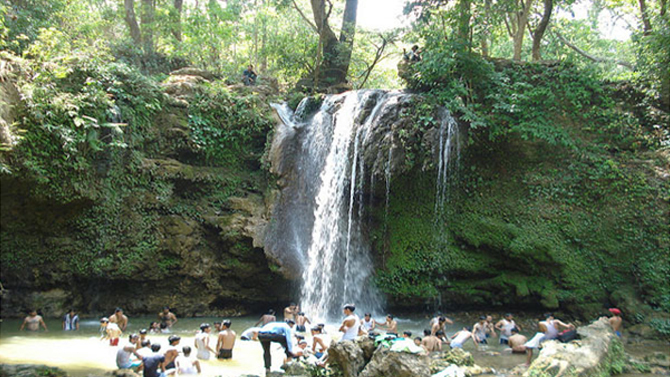 If you’re looking for a day at leisure, then Corbett waterfall should be your next destination. Just imagine, silvery stream cascading down rugged mountains in the middle of the lush green environment, swaying a forest, harmonious chirping of birds and gushing sound of water, It’s definitely a nature’s gift. Located in the middle of the wildlife reserve, Corbett national park is a relaxing retreat for touring. Here, you can indulge in trekking or enjoy a nature walk. Passing through the trails of the water fall, you will encounter dozens of exotic birds as well. Suggestion: It is advisable to carry your smacks here as this place lack shops or stalls selling eatables. Located at a distance of 10 km from Ramnagar, Sitabani forest reserve is an abode of many wild animals, including leopard, barking deer, jackal, wild boars and king cobra. It is believed that this was the places where Goddess Sita spent her days in exile. There is a temple inside the forest reserve which is dedicated to Sage Valmiki. It’s a picturesque jungle and an ideal destination for photographers. It’s a must stop over for people who are visiting Corbett for the first time. 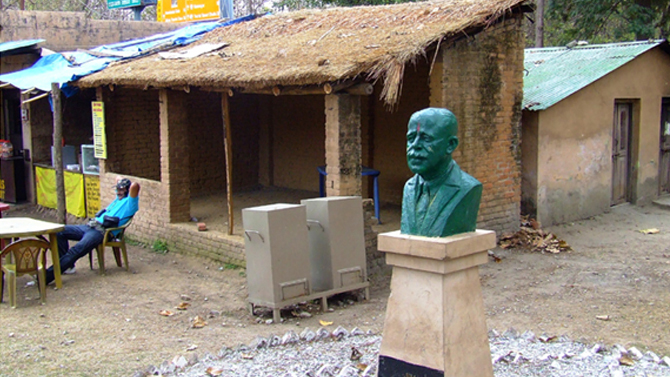 The museum exhibits the history of Jim Corbett Nation Park and rear images. The prime attraction of the museum is the glass boxes containing the head of tigers and elephants, which were killed in fights, long time back. For memorabilia on the great wildlife adventure in Corbett, make your way towards the souvenir shop. From here, you can handpick some great wooden items, carvings, Jim Corbett caps, and T-shirts. You can also purchase some books and literatures from here which say about the animal living in the sanctuary and the history of wildlife reserve. 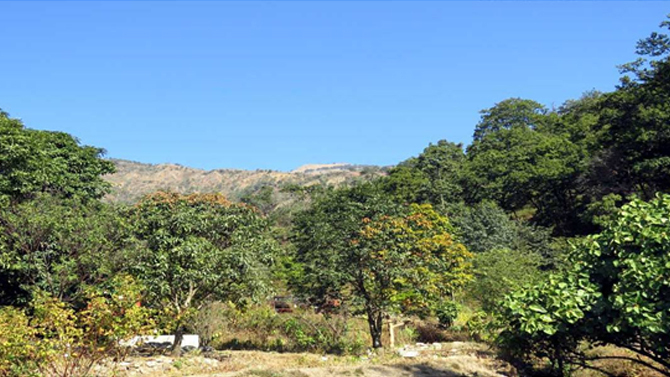 Once upon a time in 1915, Jim Corbett purchases a small 221 acres land along with 21 tiny houses on the foothills of Kumaoni. Jim Corbett gave this land a name, Chhoti Haldwani. The tiny hamlet where he used lived during winters is currently known as the Corbett museum. Nestled in the middle of calm surroundings, Corbett museum is often visited by the environmentalist. Here on display are multiple items, namely hunting weapons, sketches, manuscripts and Jim Corbett’s hunts from different places. The museum preserves the heritage of Mr. Corbett in the form of personal belongings (like fishing nets, cap, gun and photographs), letters and antiques. Research done by Jim Corbett regarding Fauna of the national park is also reserved here. Here, you can learn about meaningful facts related to wildlife while roaming around the vast vicinity of Corbett reserve. 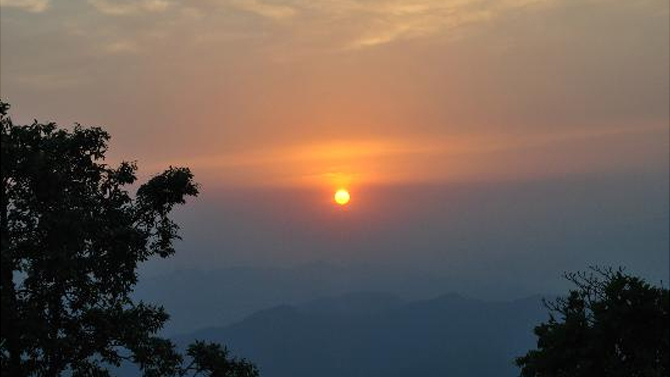 Catching the glimpses of sun and scandalize the view of the mountains at its best from the top of the highest peak in Corbett is certainly commendable. You can also see both the rivers – Kosi and Ramganga from the peak at a glance. There is a British bungalow nearby the sunset point which is also worth a visit. Sitabani temple is a holy shrine dedicated to Lord Sita, 20 km away from Ramnagar. Lots of fables and tales are associated with the temple; it is believed that it is the place where Goddess Sita, wife of Lord Ram, entered into mother earth. The temple is visited by the tourist during Ram Navami (birthday of Lord Rama) every year. 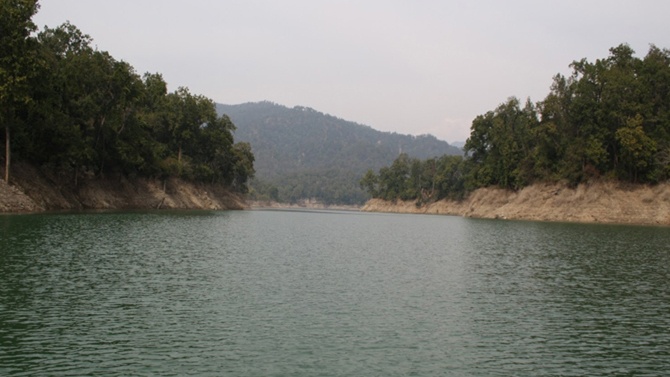 It is located at a distance of 20 km from Ramnagar. Looking forward to something bewitching in the middle of the jungle? Kalagarh or Ramganga Dam is an ideal place for you. The dam is home to some endangered birds. Kalagarh dam is the part of any multipurpose project and is the lone source of electricity for the people of nearby villages and towns. Be sure to bring binoculars and plenty of mineral bottles on your next trip to Corbett National Park. Now, it’s time for you to unleash the hidden secrets of the best national Park in India, Jim Corbett.